Declan Lavery has had his 10-day riding ban quashed following an appeal heard by an independent disciplinary panel at the headquarters of the British Horseracing Authority on Thursday. 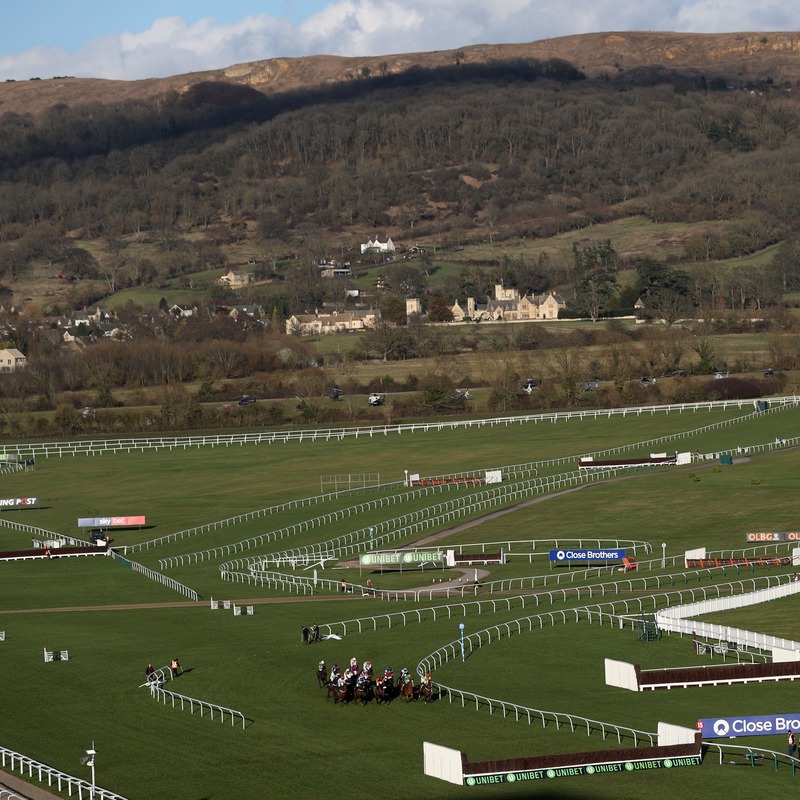 Lavery was one of three jockeys punished by the stewards at Cheltenham last week after just four of the 18 runners completed in the National Hunt Chase, a race confined to amateur riders that was run over four miles on rain-softened ground. The three jockeys in question were suspended for a collective 37 days, with the stewards ruling Lavery had “continued in the race when it appeared to be contrary to the horse’s welfare” after finishing third on the Philip Hobbs-trained Jerrysback. A statement from the BHA following the race said the governing body was “extremely disappointed by the conduct of a small number of riders”, adding “amateur participation in its current form at future Festivals will be under material threat should further incidents occur”. The suspension had provoked much comment from leading figures in the sport, and Lavery, who has ridden for Gordon Elliott and Willie Mullins, had the backing of Hobbs at the hearing, while Sir Anthony McCoy had also voiced his displeasure at the ban. Lavery told Sky Sports Racing: “I’m very relieved that we got the result we were looking for. “I was very shocked initially, because I was delighted with myself for getting him round as he nearly fell a couple of times, so to get back and find out I’d got 10 days took the buzz away. “The drama around it hasn’t affected me, I just put my head down and I’m pleased to get it over and done with. “I had a really good team behind me, I had Andrew (Coonan), I had Rory (Mac Neice) and Mr Hobbs – I was very happy he came up to help me. I didn’t feel like I’d done anything wrong. “I was quietly confident I’d get it turned round, but having the right people behind me made it a bit easier. He added: “I can get back point-to-pointing this weekend, get things back to normal. “It was brilliant AP (McCoy) was standing up for me. He gave me his phone number and told me to ring him anytime, maybe that’s just a Northern (Ireland) thing! Coonan, secretary of the Irish Jockeys Association, said: “Declan got in touch almost straight away. “I spoke to him at Cheltenham and initially I had a concern about the decision and I was surprised at the 10-day penalty. “We had an opportunity to review it, I sat down with Rory, who is very experienced in BHA matters. “Today was a good opportunity to see how an appeal process works very well. It (stewards’ decision) was wrong on the day, but for the right reasons, the welfare issues, they’ve reviewed that, realised Declan did the right thing and they came to the correct decision, I think. Mac Neice, a solicitor who has sat through numerous appeals processes, said: “We thought the ban was wrong, but in fairness the stewards on the day didn’t have the three hours to study it like today. “The process allows us to ask for decisions on the racecourse to be reviewed. “That doesn’t have to be a criticism of the stewards on the day, that process is there for a reason and we’ve been saying the decision on the day was wrong and the decision today was correct. Sitting on the Panel were Patrick Milmo QC (Chair), Chloe Fairley and Dr Lyn Griffiths. In response to the findings of the panel, the BHA released the following statement: “The BHA accepts the findings of the independent disciplinary panel in today’s appeal hearing. “It is the view of the BHA that the rules should be a proactive and preventative measure to avoid horses being put into a position of avoidable risk, and the stewards on the day acted in accordance with this. “However, the finding of the disciplinary panel was that the current construct of the rules indicate that the rider was not in breach of Rule (D)45.3.2. We will await their written reasons before commenting further on this issue. “Stewards have to make immediate decisions in the midst of a sporting event. That is why an independent appeals process exists which offers a fair process for challenging stewarding decisions. “A range of incidents happened during this race which the stewards had to consider. The other decisions have not been challenged at appeal. “The panel were also clear that the requirement of the rules to pull up tired horses has primacy over the requirement to achieve the best possible placing, and that it is no justification to continue on a horse to finish placed in a race if doing so would be contrary to the horse’s welfare. “This rule is 20 years old and was agreed by all groups in our sport who are represented on our Rules Committee. It has been invoked a number of times in recent years. It continues to be an important rule that demonstrates our commitment to protect the welfare of our horses.